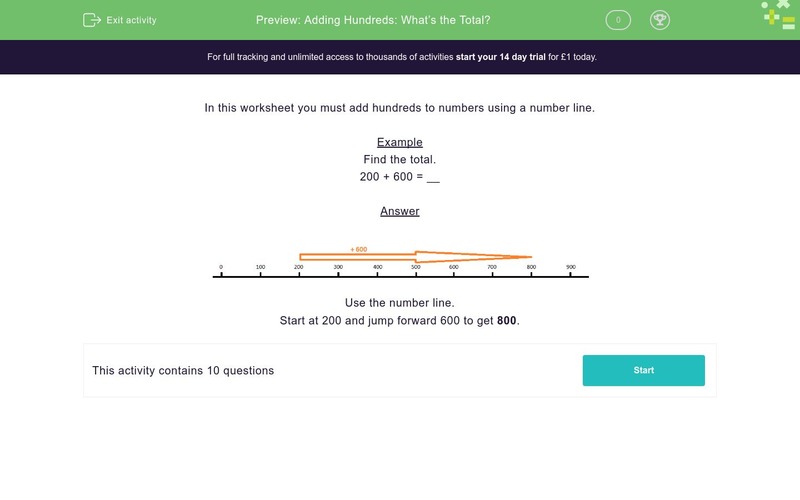 In this worksheet, students use a number line to add together two 'hundred' numbers. In this worksheet you must add hundreds to numbers using a number line. Start at 200 and jump forward 600 to get 800.